Birch, Pine, Beech, Oak . Restaurant menu holders are the critical part of dining culture to show your service . 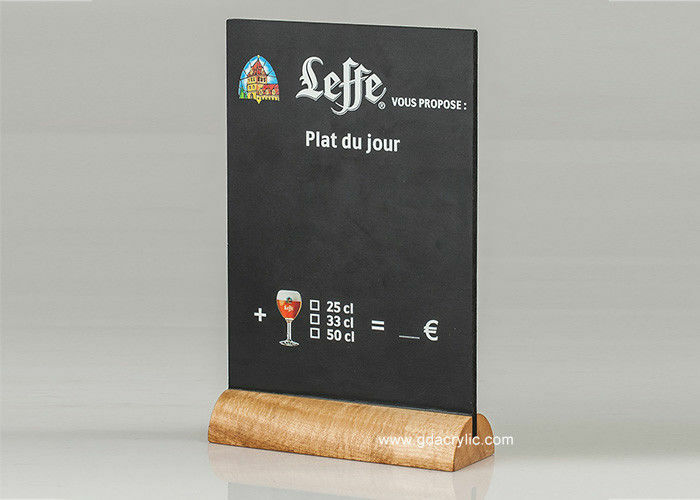 This wood menu holder with classic chalkboard style best complement the theme and the tone of the environment. 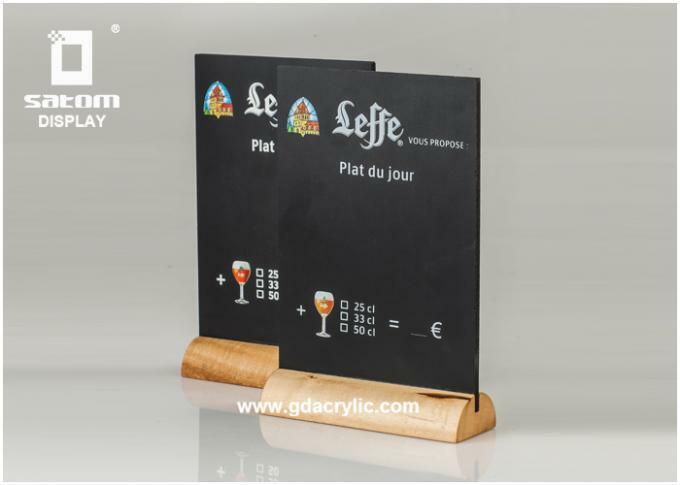 A good combination with writing panel board and high quality printing are its greatest strengths. 1.Q: Can I have your free design ? logo and tell us your ideas . 2.Q: Can I visit your factory? It is superior for the geographical position of us.just 30 minutes'drive from Baiyun airport. There is metro direct to Canton Fair.EMU trains also can be arrived from Hong Kong. It is the best geographic positon for your China trading trip. 3.Q: Do you accept inspection before shipment? A: Yes, of course. We promise 100% strict quality inspection and accept SGS,RoHS,CE certificate.